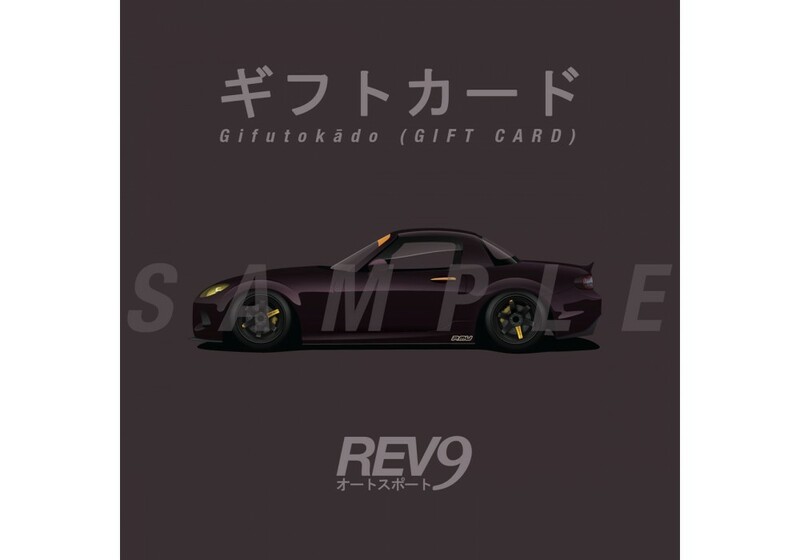 The Ver2 Gift Card is our newest design. 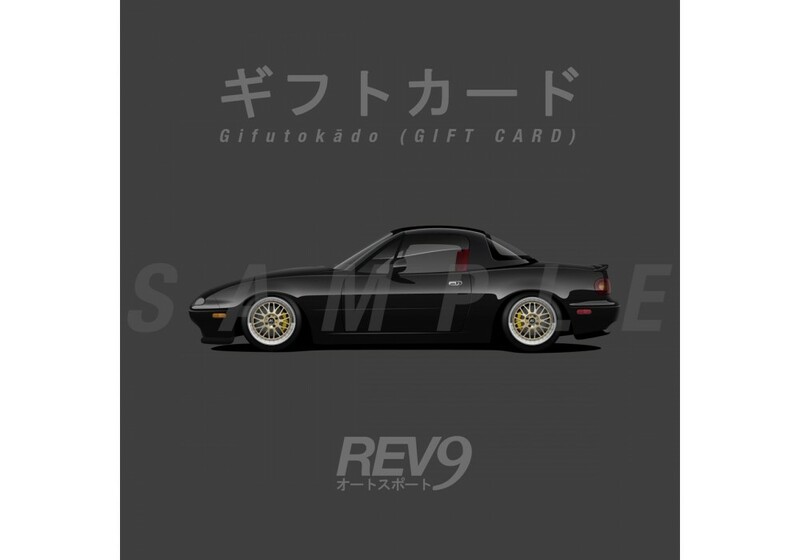 Any NA, NB, NC or ND owner will love it. 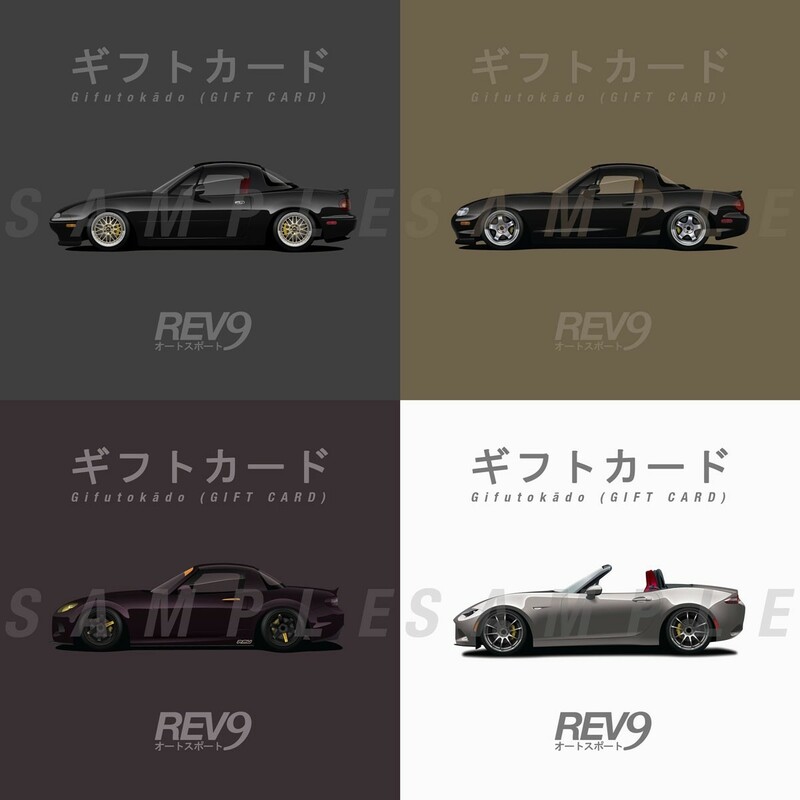 It's showing our NA Demo Car, NB Demo Car, Jet Stream NC Demo Car or our ND Demo Car! Purchase the Gift Card online and we will email you the info on how your friend or family member can redeem it at our webstore! 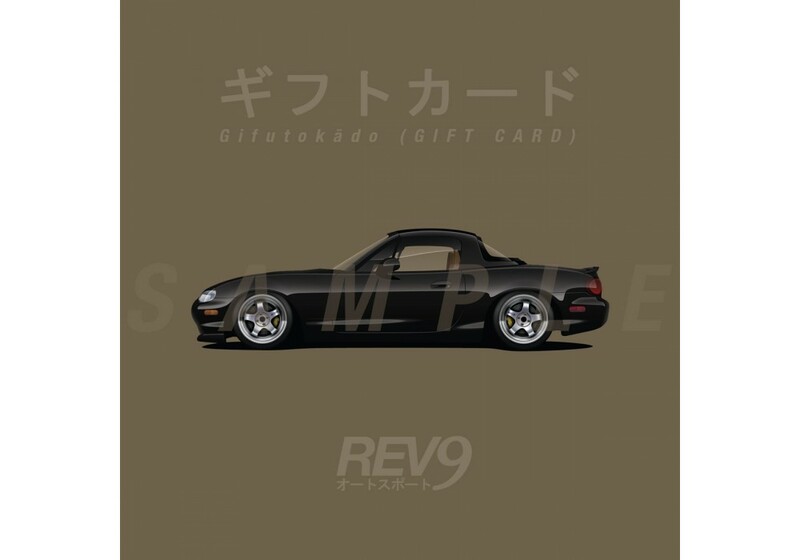 You can also see our Original Gift Card by following the link. 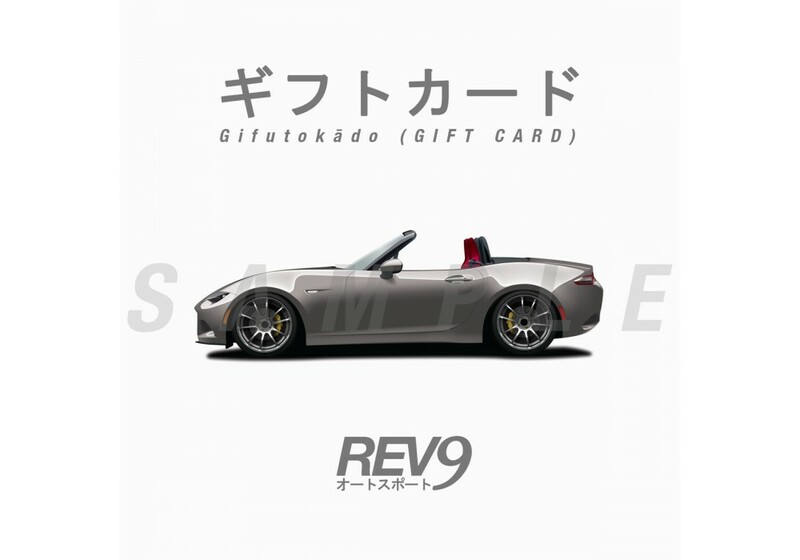 REV9 Gift Card Ver2 should be ordered at REV9 Autosport https://rev9autosport.com/rev9-gift-card-ver2-2590.html as they provide the best service and speed we've seen so far!